There are times when using our PCs, an error message saying that theHTTPS secure Internet connection has failed. You might wonder whether this message is serious. Hardly. It’s a common error message that we all get, actually. Probably the first thing that you should do when you see an error message such as this one is to reboot the system. If that doesn’t fix it, then you should move on. Now, check the system time on your PC. If it is incorrect, then the date and time on the SSL certificate on the server will not match up with the time on your PC. To fix this, access the Date and time settings located at the bottom when you select the time in your taskbar. If Windows is setting the time automatically and it is still wrong, then turn that option off. Click Change time and date manually. 3: Are you not at home? One suggestion that Google Support state is that if this is happening on public Wi-Fi, then you might have to log in again through the network’s splash page. In other words, visit a non-HTTPS site and check to see if you end up having to agree with the site’s terms and conditions prior to accessing the Internet. Do not run a quick system scan but a long, complete one. This might be taking place because of malware or viruses too. If you have an antivirus program that checks your network connection security, such as Avast Free Antivirus, then run that as well. Email usually makes the idea of a productive workday difficult. Yet it doesn’t have to be this way since Gmail has a number of built-in features apart from third-party tools that can change this. Signing up for subscription offers, newsletters and daily deals usually results in your inbox overflowing with spam. Using Unroll.me can change all of that in a hurry. 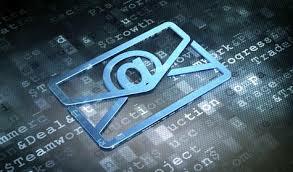 When you connect your Gmail account to this service, it will scan for subscriptions and compile the senders into a list. Now, click the Unsubscribe button next to each sender to get rid of subscriptions you don’t want. If you’re one to receive a lot of emails from a number of people, turning to Google to find out more information about them is the next step. This tool built by LinkedIn will help you to find that information without having to search for it. One excellent aspect of using this tool is that it replaces Gmail’s sidebar ads while offering you emails with detailed information about the sender of an email. What this tool helps you to is process your emails much faster by turning them into task list items. Integrating this popular to-do tool with Gmail will help you clear up your inbox as much as possible by prioritizing email as well as assigning deadlines and reminders too. Best part about using this app is that it syncs across all devices so you can clear out your inbox regardless of the device that you use. Almost everyone who uses the internet regularly experiences moments when their connection goes down. While this can be frustrating, you can still view these pages using Chrome or Firefox even if you are offline. This is because both browsers have the ability to display content from their caches instead of the live version that you see on the site. Please keep in mind that accessing these pages in this manner might change and which could render the saved webpage inaccurate. Of course, the browser cache only contains a limited number of webpages that you’ve browsed recently. This will not work on sites that have live feeds such as Netflix or Facebook. Anyways, if you require information from a news site or from a webpage that you viewed recently, here are 2 solutions by which you can do this for each browser. Chrome is experimenting with how these webpages can be displayed. No, not the live ones but offline. That said, and for this to happen, you can start by typing “chrome://flags/#show-saved-copy” in the URL bar. After this, select Enable: Primary from the dropdown menu. You’ll find this from under the “Enable Show Saved Copy Button” heading. Once you’ve done this, then restart your browser. Now, take your PC offline and try reading a webpage that you recently viewed. While you will see an error message from Chrome, you’ll also see a ‘Show saved copy’ button. When you click that button, you will see the version of the webpage when you were online. There’s no flag to set so as to view content offline in Firefox. Now, to view webpages from your cache, select the ‘hamburger’ icon in the upper right hand corner of Firefox. After this, select Developer>Work Offline. You’ll be able to find the webpage that you were looking for as long as it is in the browser’s cache. Visiting a web page can be irritating given that there are videos that play automatically. Flash videos are one type while there’s another: HTML5. No matter the type, they can both be just as annoying and should be blocked if you intend to not be interrupted. 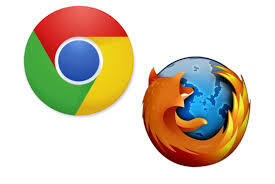 If you use either Chrome or Firefox or both, it’s easier than you think. That said, there still isn’t a fix for this when you use Internet Explorer. First, you need to download and install a Chrome extension known as Stop YouTube HTML5 Autoplay. This is an extension developed by Port Zero. If you can’t download the file, then go to the developer’s site. It must be pointed out that even non-YouTube HTML5 videos will be blocked. The program is excellent and works very well. Just install and enable it and the videos won’t start automatically. Of course, you can click the video to get it going. If you use Firefox, you don’t need an add-in or extension to enable this. First, open a Firefox tab or window. In the address field, type “about:config”. After this, click the “I’ll be careful, I promise” button. A long list of settings is thrown up. You’ll find a search field above it. Enter the word ‘autoplay’ and hit Enter. One entry is thrown up: media.autoplay.enabled. Look for the Value column. Now double-click the entry. The Value will change to False. After this, the next time you visit a web page with videos, an image will come in place of the video itself. It won’t start until you want it to either. While there’s no doubt that a clearly organized Gmail inbox can give one a sense of order, there are other aspects, such as its Starred section, that can improve it further. Labels can prove to be very efficient when it comes to categorizing and storing certain emails but there are important emails that can be found by Starring them. It’s much easier to access these emails too. Of course, there’s more to Gmail than just yellow icons that are used to indicate starred emails. Accessing your Gmail settings will show you a number of colored stars such as green, blue, red, orange and purple too. If that’s not enough, you can use colored exclamation points, check marks among other items that are available. While you can each colored star to indicate an action that you would like to take, there’s no way of personalizing each star with a particular purpose or name. To set up this feature with Gmail, click the cog in the upper right hand corner and select Settings from the dropdown menu. When the Settings screen opens, look for the General tab and then the Stars section that close to the top. Google’s presets that are in place include 4 stars or all stars and that should include more starred colors to you. Also, you can drag and drop each star from the In Use to the Not In Use category when necessary. This will help you get the number of stars that you need. Of course, dragging and dropping stars from within the In Use section can be done to get the exact lineup that is necessary. Make sure you hit Save Changes at the bottom and get back to your inbox to start using these stars. That said, if you want to use a yellow star, then click once or just once more to get a list of colors that you can pick from. That’s it. Without a doubt, Skype is an important business tool for communication yet there are certain glitches that make it really annoying. However, it’s good that there are a number of solutions available. In some cases, Skype cannot find the webcam, speakers or the microphone and for this, navigate through Tool>Options>Audio Settings>Show advanced options. You’ll find all the audio devices that you’ve used appear here. This also applies to Video devices that you can find under Video Settings too. There are a number of reasons why this can happen without it being Skype’s fault. Maybe you are too far from your router, Wi-Fi is too slow or even that your bandwidth is being used by other people too. It’s a good idea to work through each of these possibilities before blaming it on Skype. Quite admittedly, this occurs regularly but it can be fixed in a few steps. For this, you have to uninstall Skype Click to Call located in the Windows Control Panel. Also, check your browser addons so as to disable any items that might have to do with Click to Call. Finally, within Skype, visit Tools, Options and Advanced so as to uncheck the top two boxes. If you’ve used Skype to make calls to a landline, you’re bound to have a few credits around. If you don’t use it for 180 days or more, then these credits disappear. But they aren’t deleted, as you might assume but are hidden. To activate them, look for a ‘Reactivate credit’ button where you credit balance was displayed. A big reason why Chromebooks have become so popular is because almost every modern-day application is now available via your web browser. However, when it comes to image editing, this still hasn’t changed yet. Tools such as Paint.NET and GIMP still continue to dominate Windows PCs. Of course, Google Docs can help with spreadsheets and documents but this isn’t possible to do with images. Also, while the Chrome OS editor is available for its user, it still is pretty barebones with the usual features such as cropping, rotating, adjusting the brightness and color of the image and so on and so forth. It’s recommended that for more complex tasks, you will need third-party apps and that are free of costs. For some reason, this has been the popular choice for those people who have to work with images. Although Autodesk has added advertisements, it’s still an excellent tool to use. Not only is it easy to use but it also contains features that it simple to edit a document while also offering layer support. Not very different from the Pixlr Editor but it avoids the annoying ads that Autodesk serves up to its users from time to time. It is for this reason that Sumo Paint is fast becoming the best choice for editing pictures on Chromebook. That said, Pixlr is still more powerful than Sumo as an editor but Sumo offers just as much without the ads. This photo editor is perfect for photographers who want to apply filters and adjust color settings to their photographs for a better finish. Likened to Adobe Lightroom, the tool is so powerful that it can open RAW images from digital cameras too. Best part: this helps you work with the highest-detail image files. While Evernote and OneDrive are excellent options for you to take notes, Google Drive is also a powerful option that must not be ignored. The reason for this is because there are a number of advantages that come with this option unlike the others mentioned above. One huge advantage that comes with note-taking with Google is that you can use a number of their productivity tools that come as one package. In order to make use of the advantage mentioned above, it is a good idea to create a folder to keep all your notes. You can sub-divide them into more folders as Google Drive gives you that ability to get your stuff organized. Google Drive is probably the best tool that one can use so as to collaborate with others and this can take place in real-time too. All you have to do is add them to a list of people by using the Share button. You can discuss other matters while also adding comments in any given file. For some notes, you might not want to type but also use tables as well. For this, all you have to do is Add Insert>Table while being able to pick the number of columns and rows you want. Google Search options is usually the best but additional tools are required so as to check for what you are looking for. Drive itself has a number of search parameters that you can avail of. Not only can you look by file name but also the type of file and by owner too.